New and startling information in a decades-old murder at Stanford. Damian Trujillo reports. 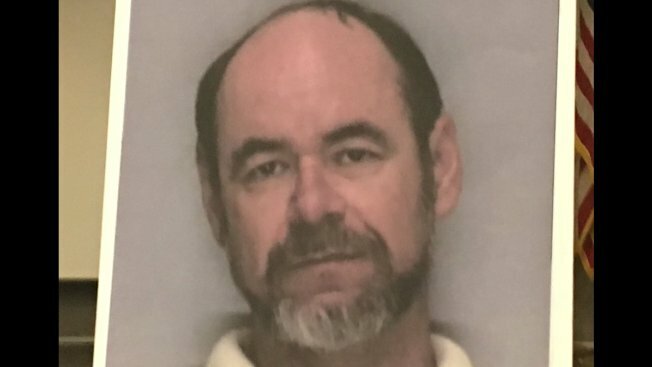 Santa Clara County Sheriff Laurie Smith says her department will look into additional cold-case murders following the arrest of Stephen Crawford, including a group of potentially unsolved South Bay homicides identified by the Investigative Unit that share similarities to the 1974 murder of Arlis Perry at Stanford University. Crawford died of a self-inflicted gunshot wound Thursday as sheriff's deputies attempted to serve a search warrant at his home in San Jose. In an effort to find similar cold cases in FBI crime data, NBC Bay Area compiled a list of cases that were originally reported unsolved, in which a woman was killed by either stabbing, strangulation, or asphyixiation in Santa Clara County. The data is maintained by the nonprofit Murder Accountability Project. Since 1976, NBC Bay Area found such 50 cases. Some have been solved over the years, many have not. The chart below shows those crimes. Data for unsolved crimes was not available prior to 1976. Some crimes listed as unsolved in the FBI data were never changed to solved when an arrest was made years later. NBC Bay Area has found 16 such cases so far. In the 16 years between 1976 and 1991, there were 41 cases in Santa Clara County that were originally reported as unsolved, where a woman was strangled, stabbed, or asphyxiated. So far, NBC Bay Area has confirmed at least 13 of those murders were later solved, mostly by DNA evidence or a later confession. But during the 25 years between 1992 to 2016, there were just nine such cases. NBC Bay Area confirmed at least three of those cases were later solved. These types of up-close killings of women are far rarer now than they used to be in Santa Clara County. In the ten years between 1976 and 1985, 73 women were killed by stabbing, strangling, or asphyxiation. There's been a steady decline since, with just 36 such killings between 2007 and 2016. There is no confirmed link between Crawford to any of these potentially unsolved murders. NBC Bay Area will continue to update this story as it reviews these cases.